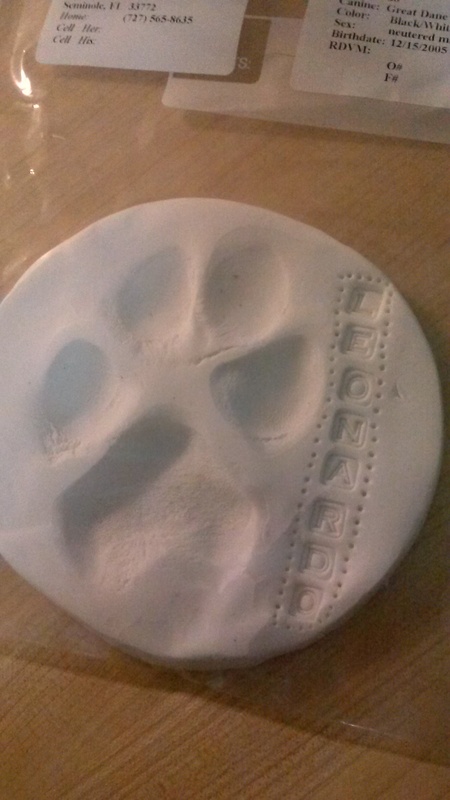 Another huge change last year – we lost our beloved Leonardo. I can’t believe it, but it has been nearly a year now. I came home one day to the usual exuberant welcome from him – doing his half “I-know-I’m-not-supposed-to-jump-on-you” jump and graceful run through the house. Five minutes later, he was retching. Our sweet boy bloated, just like that. We made the conscious decision to not put him through the agony of hours long surgery in the tiniest hope that he would survive. 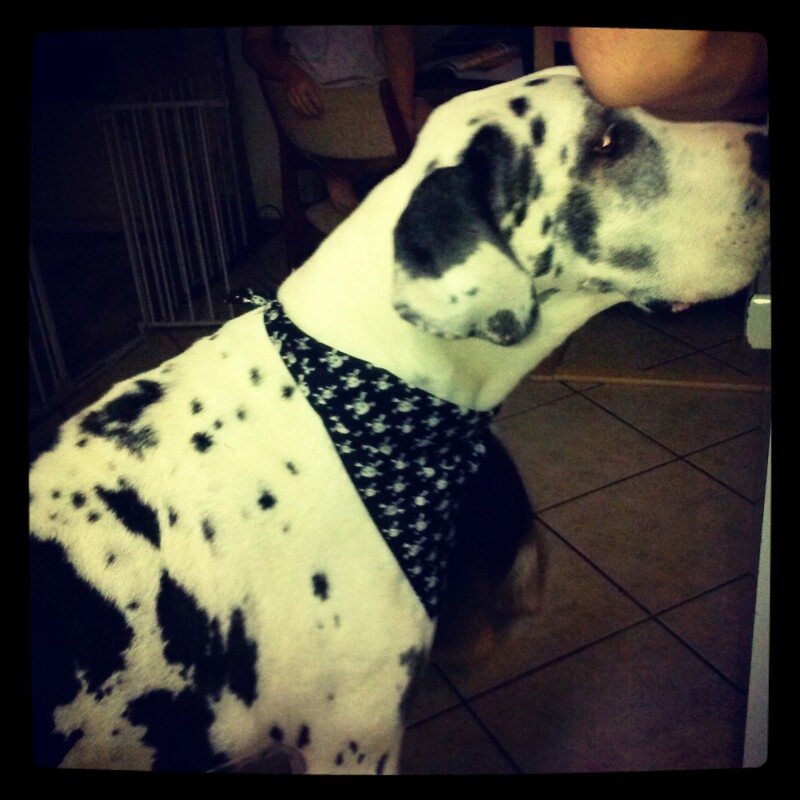 Everyone got to say goodbye and he passed away with his head in my lap and his boys on either side of him. Our home will never be the same. We ended the year with a massive remodel of the kitchen after the geek & I consolidated households. Huge undertaking that had us without stove or sink for weeks, but SO worth it in the end! We are in love with our new kitchen, it is awesome. I’ve been running on again/off again. Seems to go through cycles sometimes – my fellow runners can probably relate. :) I am, however, still running the local half-a-thon challenges, albeit virtually. I don’t even really care about the medals so much, I just love the challenge of getting in the miles. Ha. I’d set an aggressive goal in 2014 based on my reading for 2013. Silly fool, me. I didn’t have time to read outside of necessary school reading. However, I ended the year with vacation, so I did manage to end the year reading! Half Way Home by Hugh Howey – I enjoyed this story! Some have labeled it as YA, but I didn’t get the usual YA vibe from it. Yes, the characters are teens in physical years – but they have been raised in a Matrix-like vat, plugged in to an AI that has been training their brains since infancy – very few 15 year olds today could spout military strategies or psychological theories at the drop of a hat. 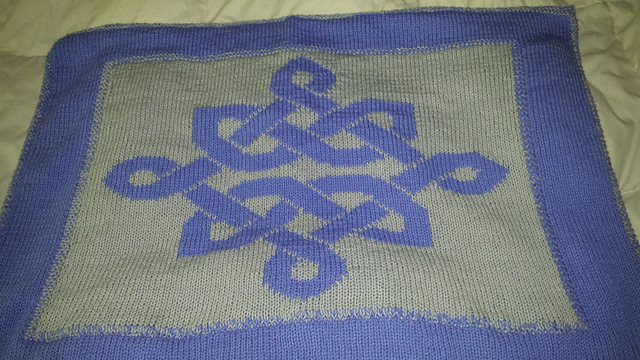 As I mentioned, I have been able to get some knitting done the past year. 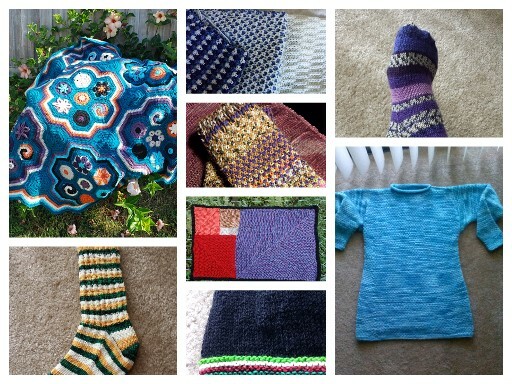 Not too much, mostly small projects like socks and beanies. Here’s a sample of 2014 projects! 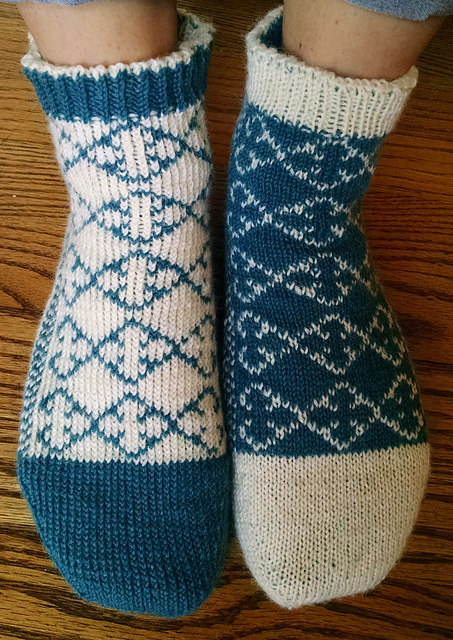 My knitting goal for 2015 is to master double knitting. Sure, I’ve taken on a project or two with this technique, but I want to do a really fun project this year. So many choices, though! * Gorgeous baby blanket with several great tips in the description on Ravelry. * Super cute & thick socks, love them! * Stunning! 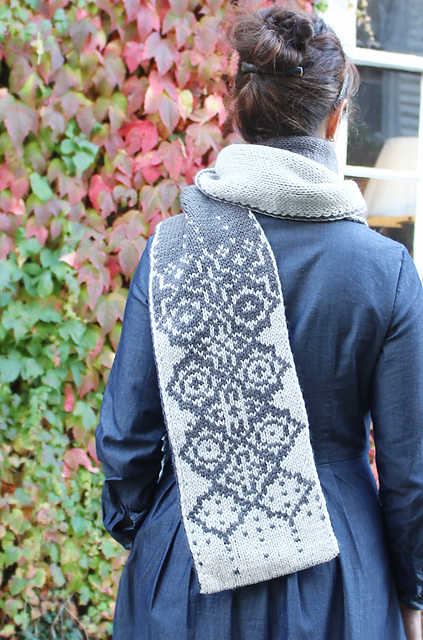 One amazing thing about double knitting patterns is that so many are FREE! I love this pattern. 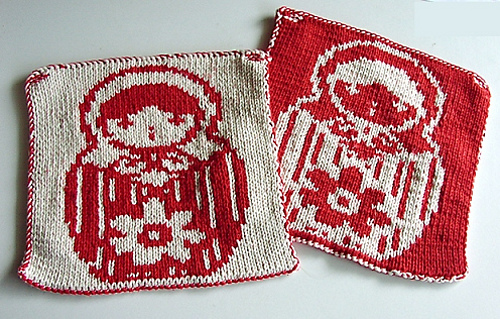 It also includes a tutorial on double knitting! * One can never go wrong with The Princess Bride! 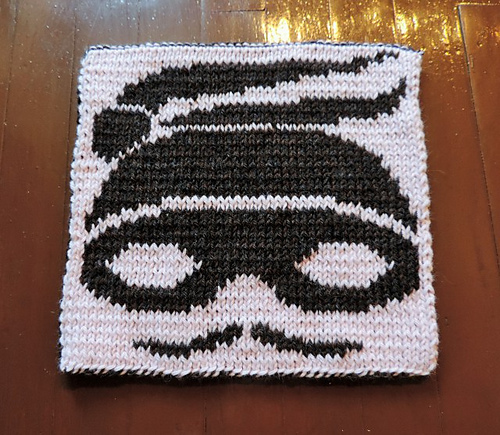 Plus, this square is part of one of the most awesome things from 2014 – the Geek Along 2014!! 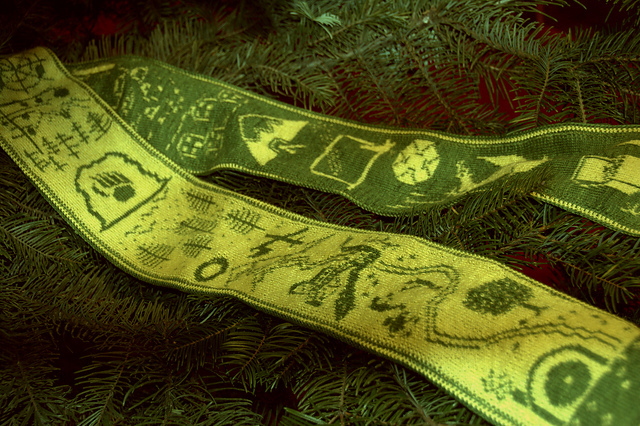 How about you – what is your knitting goal for this year? 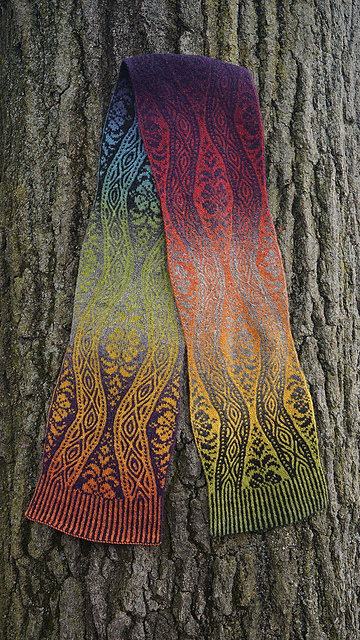 This entry was posted in Running and tagged double knitting, Free Patterns, Geek, Reading, Running, Today's Ravelry Search. Bookmark the permalink. Glad to see you back on your blog. My sympathies on the loss of your beloved four legged family member. So glad to see your knitting pattern search, I have always liked to follow where search took you. Glad to hear you got in some reading time and shared your reviews. My own year has been a great adventure too. 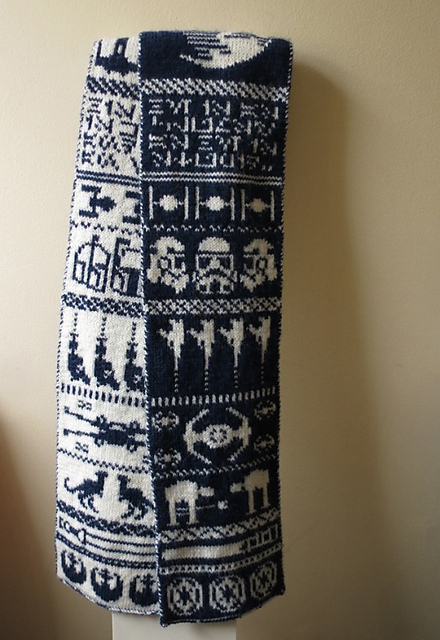 My knitting goals are always very loose. I do a lot of charity knitting that is generally for local people. Our knit group had visitors before Christmas, three women from two churchs that all worked with the same food bank and a gentleman and lady that work with foster children. The big surprise for me was the woman working with foster children is one of my neighbors. Working on blankets now. I have two in progress, one crochet and one knitting. Just finished a large crocheted granny square in pastels with lots of bright pink. I can crocht much faster than I can knit and can alternate the projests to save my hands.